Kevin Pietersen, after playing a hard fought innings of 73 runs, is convinced that the Indian batsmen will find it hard to negotiate the fast bowling of England. The star batsman of the present day cricket, Pietersen, came into bat when England was in all sorts of trouble by losing their both openers for 16 mere runs after 10.3 overs. It was a big setback for them as their captain and the man in-form, Alastair Cook, who has scored three tons in his previous Tests, was gone after contributing one run. The young quick bowler of India, Ishant Sharma, was bowling at his best and another wicket at that point must have let the visitors down. 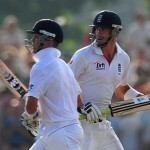 Jonathan Trott got together with Pietersen and the pair started the repair work at the crucial part of the innings. Pietersen survived a huge leg before wicket shout off Pragyan Ojha on the fourth ball of the 12th over when he was batting at just one run. He faced another identical appeal on the bowling of Ojha four overs later and once again got the decision from the field umpire in his favour. The runs were hard to earn on a difficult surface and the duo elected to secure their wickets instead of going for the unnecessary shots. They were unable to score even a single run at least in 15overs until the visitors reached the first hundred of their innings in 49 overs. Jonathan Trott became the third victim after scoring 44 runs after facing 133 deliveries that comprised 7 fours. 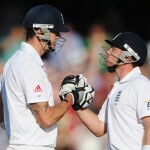 Kevin Pietersen kept on fighting with the valuable assistance of the young debutant, Joe Root. 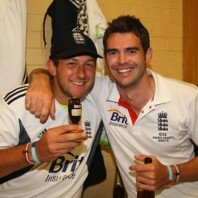 It was an unusual innings for Pietersen and he opted to stay at the wicket rather than playing aggressive cricket. 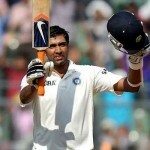 He was finally caught by Pragyan Ojha off Ravindra Jadeja at midwicket for 73. 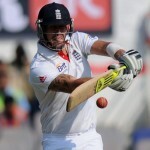 Kevin Pietersen occupied the crease for 202 minutes, faced 188 balls and dispatched 10 fours in his fighting knock. The batting pair of Joe Root and Matt Prior followed the footsteps of Pietesen and played off the bowling with dedication until the close of the play. India bowled 97 overs which were witnessed in Test cricket during a single day after a long time as England managed 199 runs for the loss of five wickets. 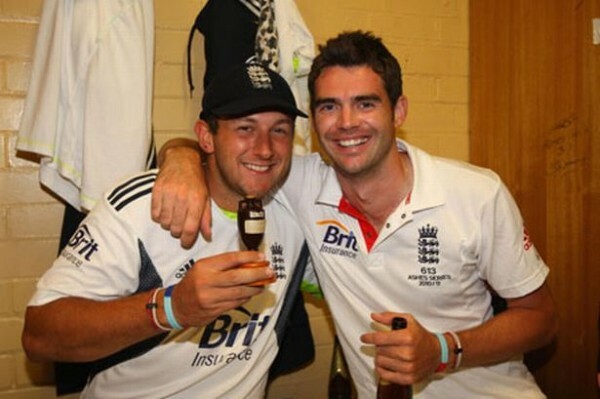 The fate of the match will become a little clear on the second day and Kevin Pietersen presumes that the two fast bowlers of England will play a key role in the match.